After driving half an hour from the Naha Airport through the swaying fields of sugarcane, you’ll come across the amazing blue Pacific Ocean and Hyakuna Beach. 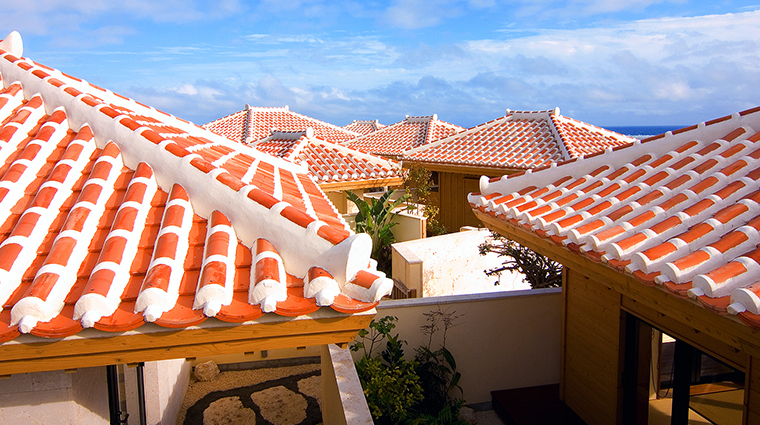 Rising from the sands is a traditional Japanese limestone building with a striking coral red roof — this is Okinawa’s Hyakuna Garan. 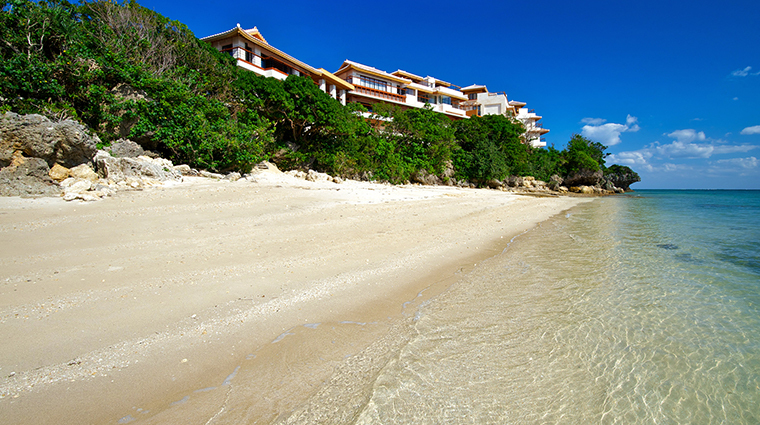 Opened in 2012, this small, independent luxury resort maintains a sense of tranquility with just 14 executive rooms and three unique suites all with ocean views. The property is on the southern tip of the main island, with no other hotels in the surrounding area. 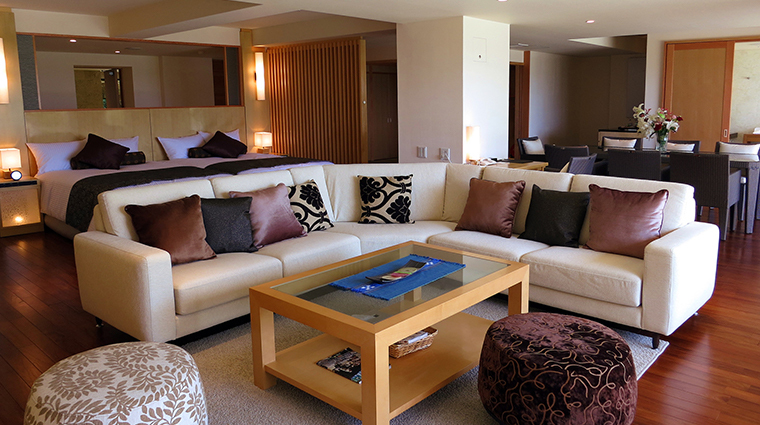 The adults-only resort (children under the age of 13 are not permitted to stay here) provides a respite for couples or honeymooners looking for an exclusive romantic getaway on this tropical Japanese island. For the ultimate in romance, book some time in one of the resort’s six houjouan, private rooms complete with rooftop open-air baths overlooking the ocean. 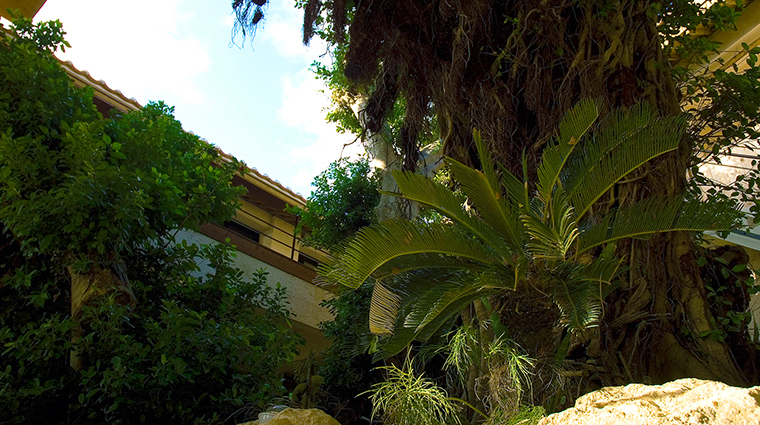 The best part is that as a guest of the hotel, you can reserve these secluded spots for free. 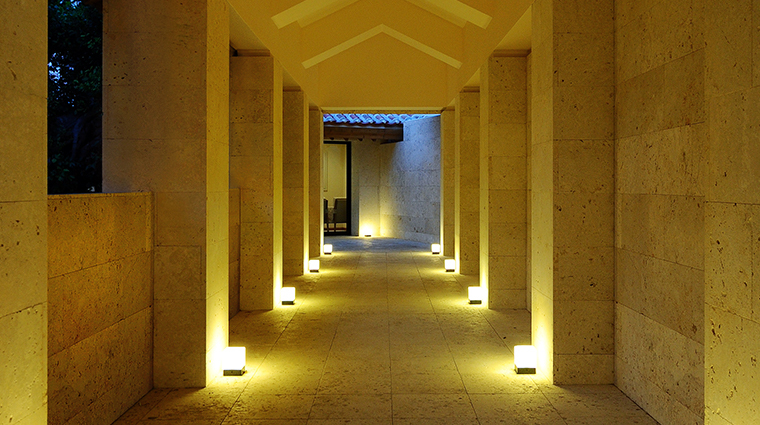 The second-floor Zen Room is where to go for yoga and meditation. 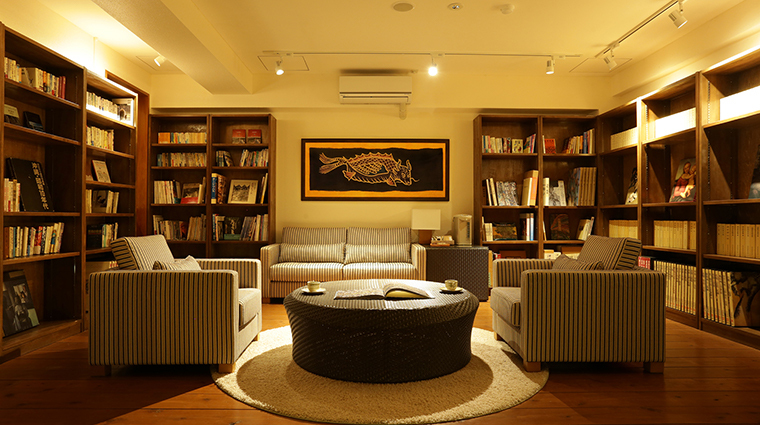 The space provides a serene atmosphere surrounded by big banyan trees and warm sea breezes. 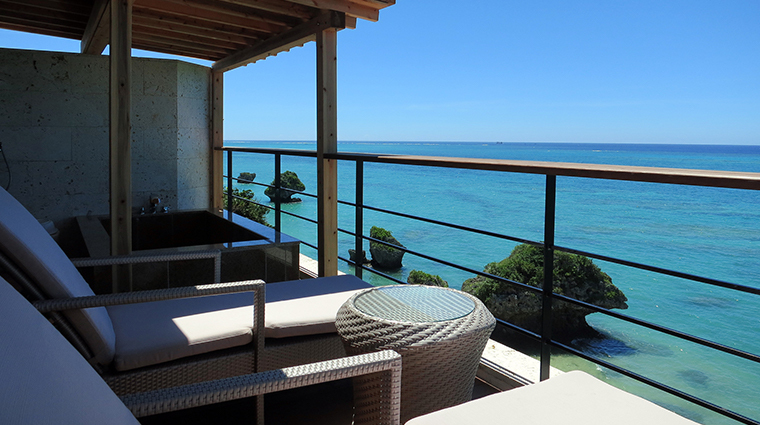 The Okinawa resort was designed to be at one with nature. The airy courtyards, open corridors and massive windows throughout the property induce a sense of calm around every turn. You couldn’t ask for a more beautiful locale in which to tie the knot. 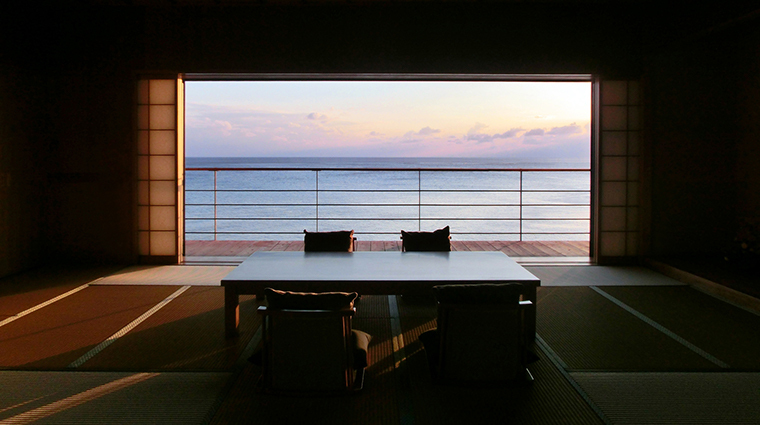 The hotel boasts a third-floor reception hall complete with a massive terrace and ocean views. Indulge in an anti-aging treatment at the Garan Spa. An array of treatments using the renowned Swiss Perfection product line will not only relax you, but also will combat skin damage from all that time in the tropical sun. With no houses or buildings to block your view, stargazing at Hyakuna Garan is a highly recommended activity once the sun goes down. 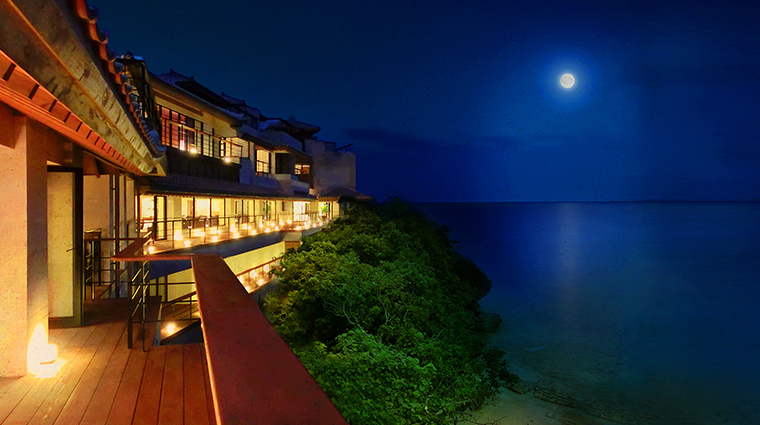 Look out for the moon shining on the terrace of your guest room — the glow is simply breathtaking. Nearby Kudaka Jima (Kudaka Island) was the most sacred place for the Okinawans of the historic Ryukyu Kingdom. During your stay, try to make time to visit this ancient site where kings would pray for peace and good harvest. Sunrise and sunset are the perfect times to take a soak — the ocean-facing tubs in each room provide a front row seat to the brilliant display. 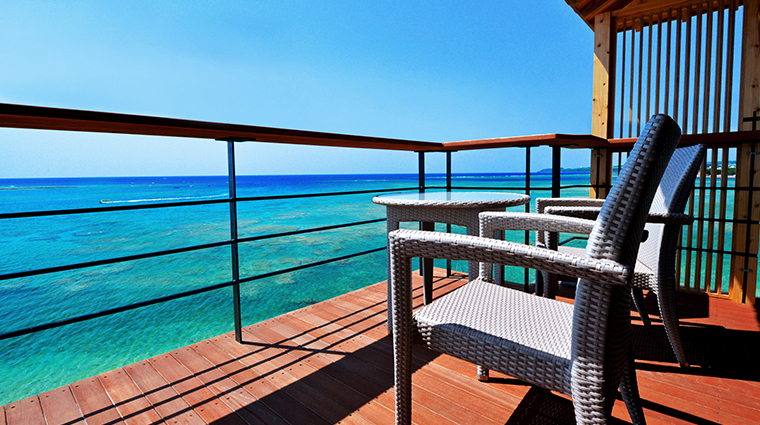 The oceanfront executive rooms provide a comfortable 730-square-foot escape with a balcony. Luxe touches include a high-tech toilet, a Japanese tea set and plush robes. 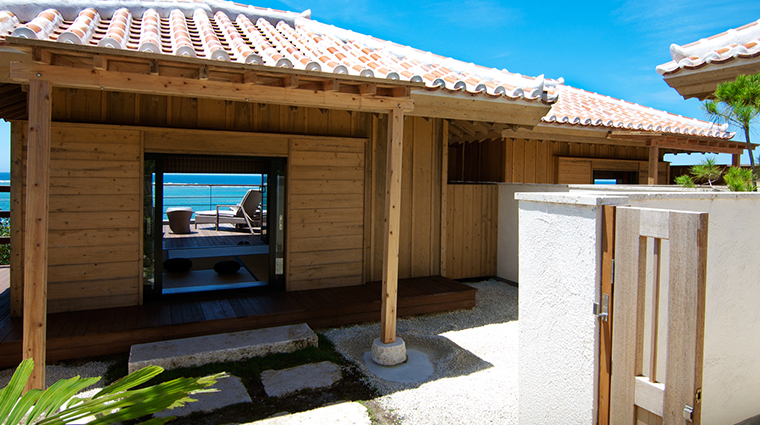 For an authentic Okinawa stay, book the Hakuin No Ma suite, a gorgeous Japanese-style minimalist space complete with a traditional Ryukyu tatami (mat-lined floor) room. 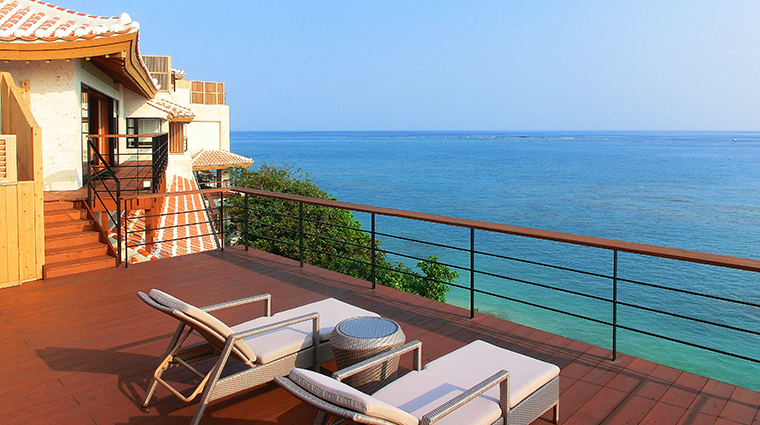 A private oceanfront terrace reminds you of your tropical surroundings. 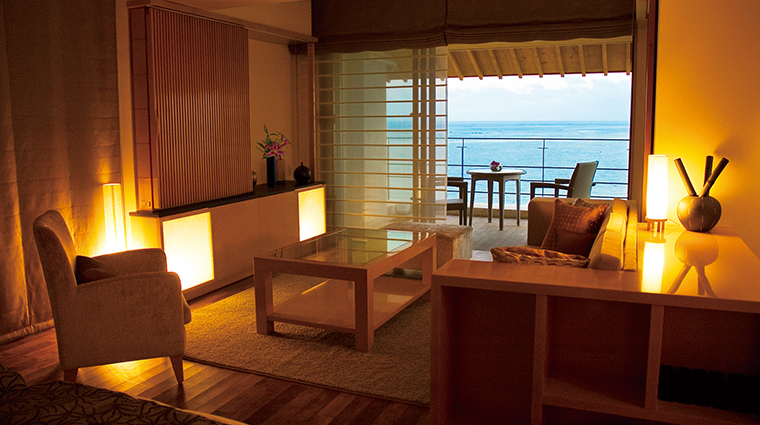 Two Western-style suites provide stylish yet cozy interiors as well as their own private gardens with ocean vistas. An airy restaurant looking out over the sea serves Japanese fusion fare for breakfast, lunch and dinner daily. The eatery focuses on traditional Japanese cuisine with an Okinawan twist. Local ingredients like sea salt, mozuku (seaweed), dragon fruit and fresh seafood take center stage on the menu. Be sure to indulge in some quality surf and turf during your stay. During our visit, we enjoyed wagyu fillet and lobster cooked tableside on a volcanic rock with local salt and pepper. Pair your meal with one of the restaurant’s awamori selections. This rice liquor is made exclusively in Okinawa. It’s an island delicacy you won’t want to miss.